First, peel your root veg after giving them a good cleaning. Next, you will chop the root veg, onions, and garlic. When chopping the parsnips, cut out the fibrous, woody core. This makes a sweeter, less bitter flavour. Sauté the onions and garlic with the olive oil. Once softened, add the garam masala. You will then add the parsnips and carrots, mixing it around in the fragrant sautéed bits. Lastly, add a liter of chicken stock. 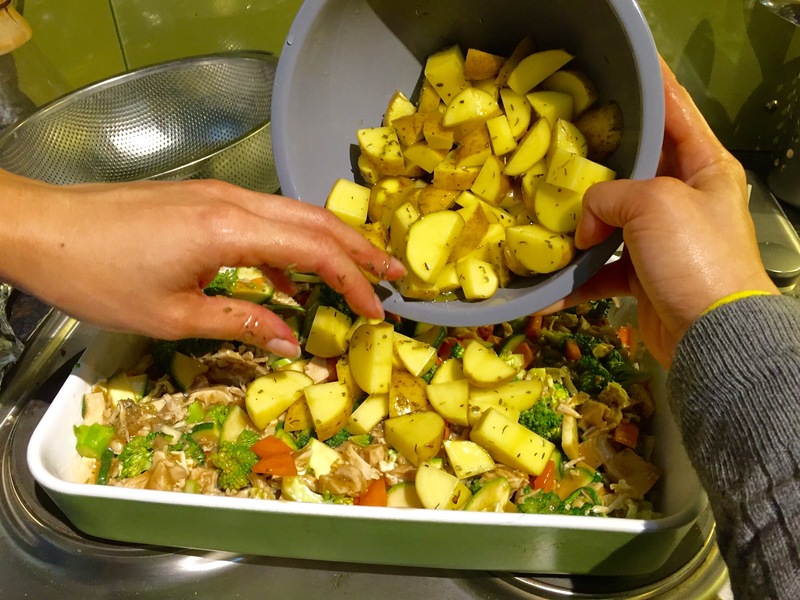 You can used prepared stock, or you can quickly make it with stock cubes. You can easily make it vegan by adding veggie stock. Cover, and let it simmer for an hour, or until the root veggies are softened. Turn off the heat, remembering to add the chopped ginger at the very end. Once it cools for a few minutes, use a hand blender to blend until very smooth. Garnish with pumpkin seeds, and there you have it, Parsnip and Carrot Soup! This was the perfect thing to make on a lazy Boxing Day, and full of nutrients for you hungover peeps. You can even add chunks of leftover turkey or ham for an even heartier soup. I really love the mild spice the garam masala and ginger adds. Very warming, without being too intense. You can easily make it in a slow cooker for a filling midweek meal. I really liked the way it turned out and this may be on a regular rotation in my household. Enjoy the last days of 2017 and here’s to baking and cooking wonderful things in 2018! Thanks for reading and Happy Eating! First, cream the butter, sugar, and vanilla. It helps if the butter is room temperature. Next add in the cocoa powder and mix well. In a small bowl, combine the coconut flour, baking powder, and salt. Then add it to the butter mixture, combining it well. In another separate bowl, whisk the eggs very well until yellow and smooth. You will then add the eggs to the flour and butter mixture. At this point, it is time to really stir it up! As you can see, at first glance, it may not appear to come together. But keep going. It will begin to turn a light brown colour, but more mixing is still required. The mixture will be ready when it looks like brownie batter. If you have a hand mixer, it will be helpful. Otherwise just use a whisk to mix thoroughly. Go ahead and pour it into a lined or greased loaf tin. At this point you might be thinking there doesn’t seem to be enough batter for a loaf, but don’t worry, it will rise. Heat the oven to 350 F / 180 C and bake for 24 minutes. Depending on your oven, you may need a few more minutes. When you take it out the oven, you’ll see that it did indeed rise. You can enjoy it as is, or add a glaze and festive sprinkles similar to the cookies I made last week. And there you have it, Chocolate Coconut Flour Bread! Well, really, it’s more like cake, but calling it bread means you can have it for breakfast. With 6 eggs and coconut flour, it is actually pretty decent protein wise. It’s also a great option if you are baking for those who cannot tolerate traditional flour. Also, you can substitute coconut oil for the butter to make it dairy free as well. That’s all for this week. Hope you enjoyed this chocolatey treat and are enjoying holiday baking in your kitchens across the globe. Mind the snow, thanks for reading, and Happy Eating! First, cream together the butter, sugar, and almond extract. It helps if the butter is room temperature. In a second bowl, combine the flour, baking powder, and salt. Next, you will incorporate the flour mixture into the butter mixture. Add it two tablespoons of flour at a time to ensure an even and smooth dough. Place the dough in the fridge for about 30 minutes to harden up. Spoon and slightly flatten small balls of dough, lining them evenly on a lined cookie sheet. Heat your oven to 400 F/200 C and bake for 7 minutes.When you take them out they will be very soft. Let cool for about 10 minutes. As the cookies are cooling, you can prepare the glaze. Pour the powdered sugar into a small bowl, adding the almond extract. Stir in the water, one teaspoon at a time until the glaze comes together. Drizzle the glaze over the cookies and add sliced almonds and sprinkles to garnish. And there you have it, Almond Softies! As said in the name, these delights are soft and melt in your mouth with each delicious bite. These are a great addition to a Christmas party as they are always a crowd favourite. Even without the glaze and toppings, they are a hit and super easy to make. The only problem is never making enough! 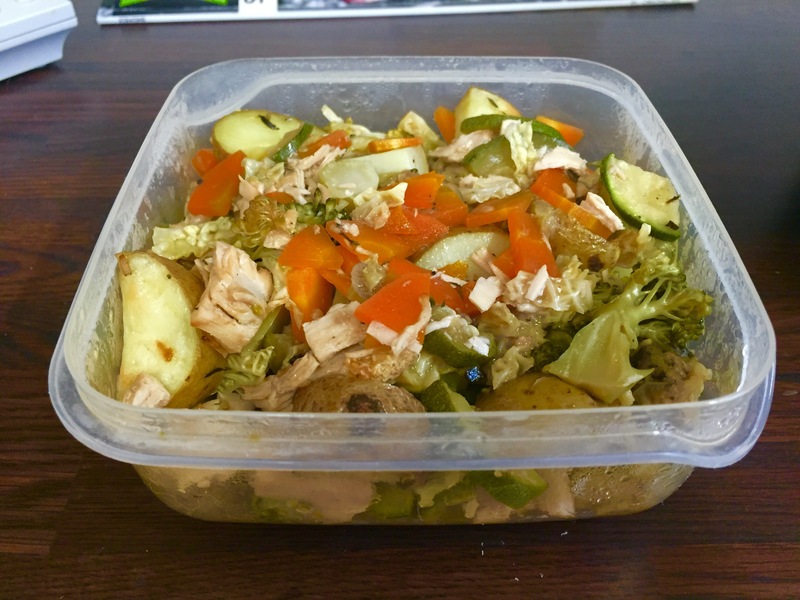 I hope you enjoyed this recipe and that you liked eating them even more! Until next time, stay warm Bristol! Thanks for reading and Happy Eating! 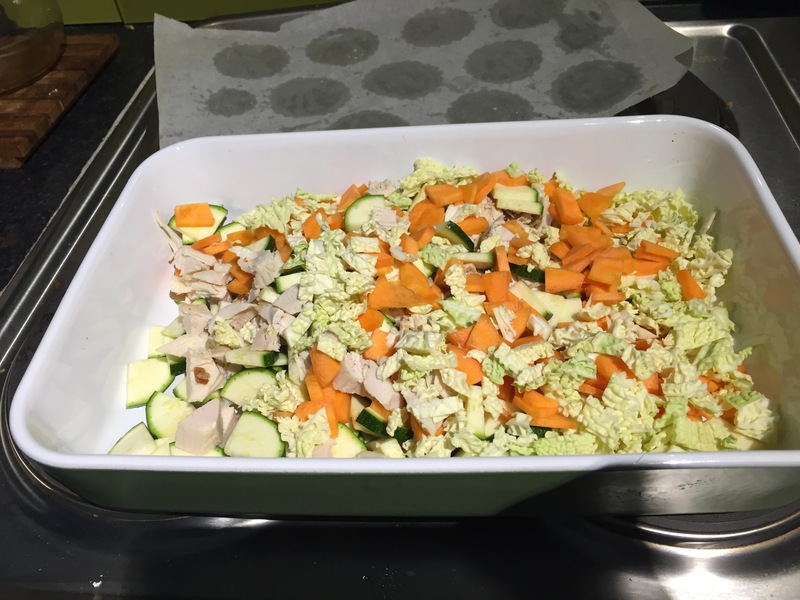 First, chop up your turkey and fresh veg, and place into a baking dish. Next, comes 1 1/2 cups gravy. If you have leftover gravy, use that. 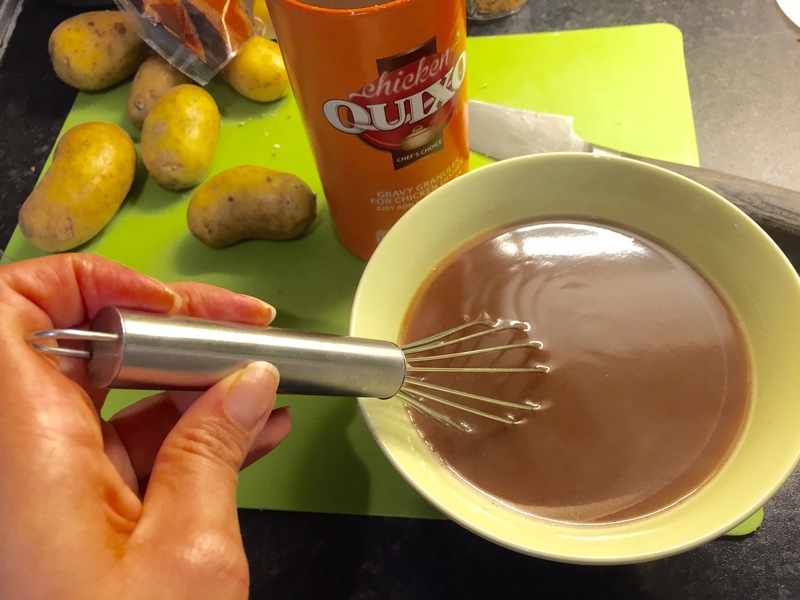 Otherwise, I used 1 1/2 cups hot water and added some instant gravy granules, stirring until thick. 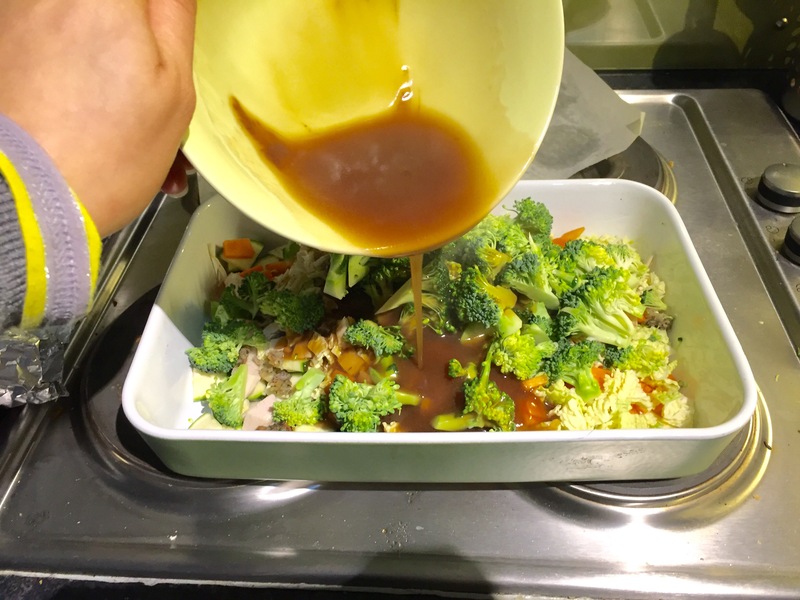 Pour the gravy over the chopped turkey and veg. Use a large spoon the stir it in throughout to make sure the meat and veg are coated. Wash and roughly chop about a pound of potatoes. Place them into a medium sized bowl. Drizzle them with olive oil. Next, sprinkle in the sage, thyme, and rosemary, topping it off with a pinch or two of sea salt as desired. 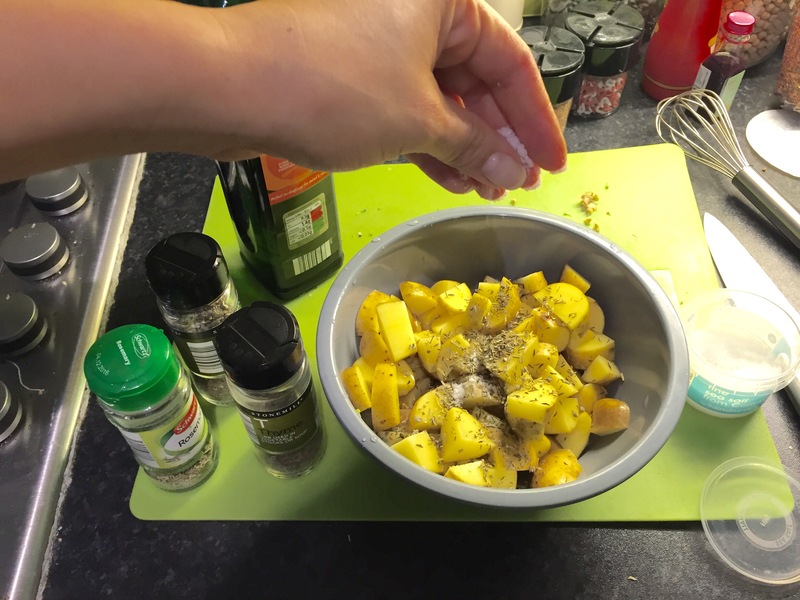 Use a large spoon or your hands to mix it up, making sure the potatoes are covered in the olive oil and herbs. 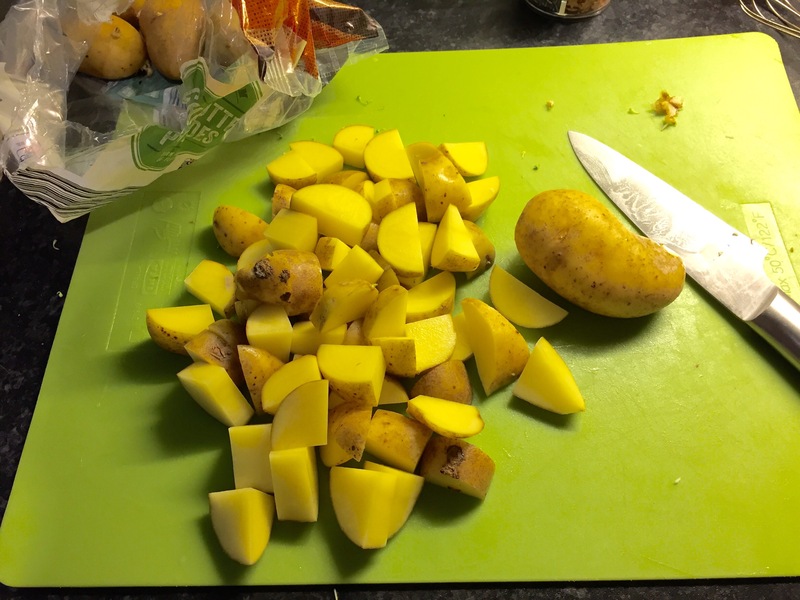 Place the potatoes on top of the veg, forming a top layer. If you have lots of leftover mashed potatoes, you can spread the mash over the top instead. 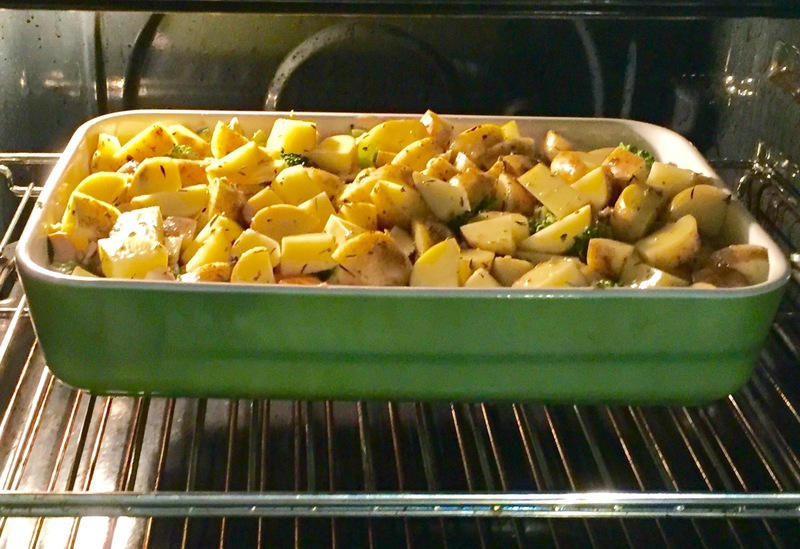 Heat your oven to 180C / 350F and bake for 55 -60 minutes. If your bake is topped with mashed potatoes, 45 minutes should suffice. And there you go, Leftover Turkey Bake for dinner! It’s an easy way to use up your leftover meat, veg, and gravy after the holiday feast. 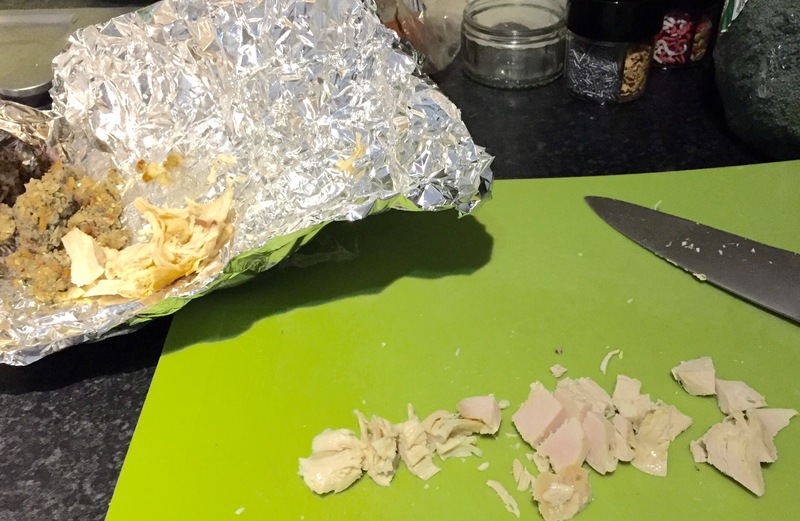 The recipe can also be delicious if using leftover ham or roast beef. And this leftover bake makes still more leftovers for lunch if you have to work today, like me. Enjoy your time off and relish the last days of 2015! Thanks for reading and Happy Eating!